> Tech News > GoDaddy Goes Down. 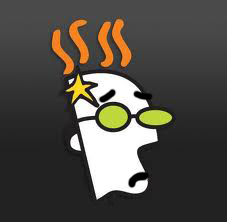 Popular domain name registrar and Web and email hosting provider GoDaddy is experiencing a severe outage, one that appears to have taken out not only its hosted services, but even those websites that have registered their domain names through GoDaddy. In a YouTube video, secretive hacking group Anonymous has taken credit for the outage, claiming the move is a reaction to the company’s support of the U.S. government’s efforts “to censor and control the Internet,” through its support of the Stop Online Privacy Act (SOPA). GoDaddy has issued a short statement on Twitter, but has not yet given a reason for the outage. “Status Alert: Hey, all. We’re aware of the trouble people are having with our site. We’re working on it,” the alert stated. Users started noticing the troubles in the late morning Eastern Time. Customers with GoDaddy-hosted email accounts and websites noticed the outage, as did at least some users who had registered their domain names with GoDaddy, even though their sites are actually hosted elsewhere. When pinged, websites registered with GoDaddy receive only a “ping request could not find host,” message. The GoDaddy.com site itself went offline. The reaction across the Internet has been immediate and caustic. “Hi @godaddy. Like everybody else hosted by you, our website is down. Please fix now thanksabunch bye,” a Twitter message from CouponPuppet.com read. GoDaddy claims to be the world’s largest domain name registrar. The company reportedly manages more than 48 million domain names and serves more than 9.3 million customers.